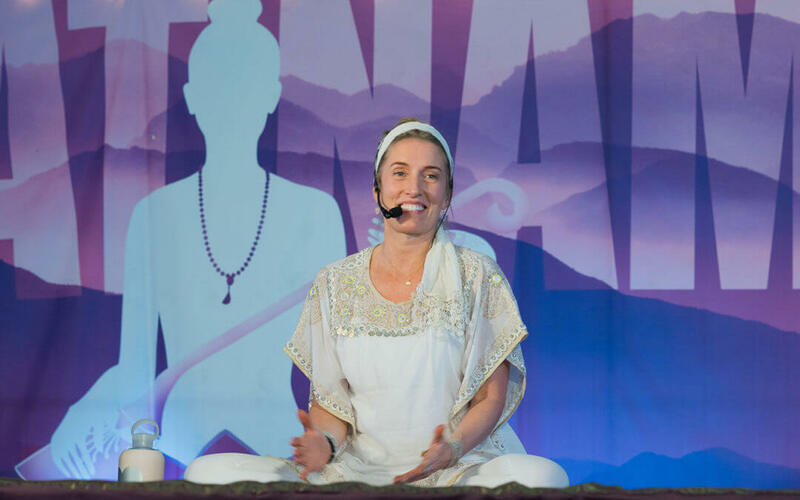 We caught up with Anne for a quick interview about her path to Kundalini Yoga and Sat Nam Fest. Anne: I read an interview, actually! Gurmukh was talking about yoga in a way that I’d never experienced it… I’d been practicing hatha yoga for a number of years and enjoyed and benefitted from it greatly, but this seemed different… I was intrigued. I took my first class in NYC with Ravi Singh, and I was amazed at how profoundly I was impacted by it in such a short period of time. Anne: I’d had a personal practice of Kundalini Yoga for a couple years. One day, one of my fitness training clients came in for a session in a very agitated state. She asked me if we could do “something different.” (Actually, truth be told, she demanded!). From what I’d learned, I felt that spinal twists (clear anger from the liver!) would help. We did it together for a couple of minutes and then suddenly she stopped, smiled at me, and said, “What is this?! I feel wonderful!” She was the one who insisted I go to teacher training and learn as much as I could. I continue to be inspired to teach for the very same reason – witnessing people transform themselves, grow and heal. 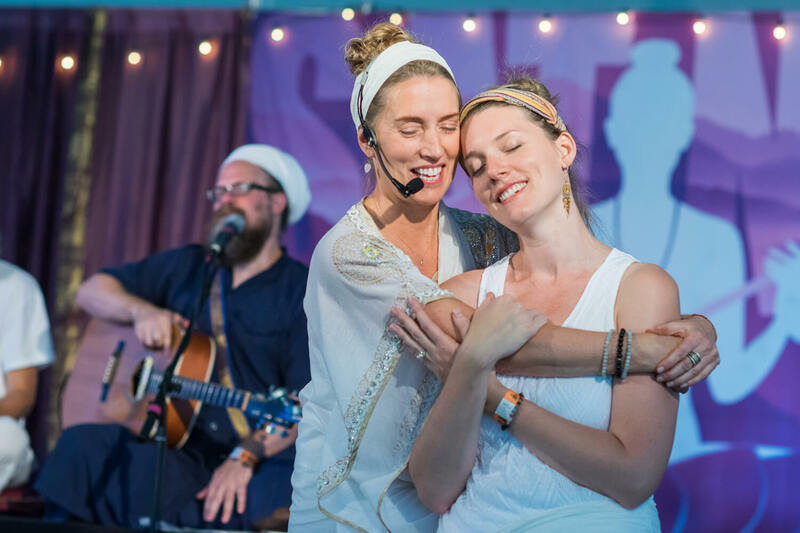 Anne: I love the energy of the group, musicians, singers, students, teachers coming together in the beauty of nature to sing, move, meditate, breathe it all in to reconnect with heart and soul. Anne: There’s a level of devotion and a spirit of “We’re all in this together!” that is quite special. Anne: People. Music. People making music that uplifts. All of us together, chanting with one voice to bring healing to ourselves and our planet. Anne: I love to be outdoors – kayaking and hiking are two of my favorite things to do. Anne: Nature. Meditation. Putting the two together is the best!